On January 25, 2019, the Mint will release the Thomas Jefferson Presidential silver medal (S803), which honors the nation’s third president. The medal’s listed price on the Mint’s website is currently $39.95. There are also no mintage, product, or household order limits. Each medal, complete with a Matte finish, contains one troy ounce of 99.9 percent fine silver and measures 1.5 inches in diameter. 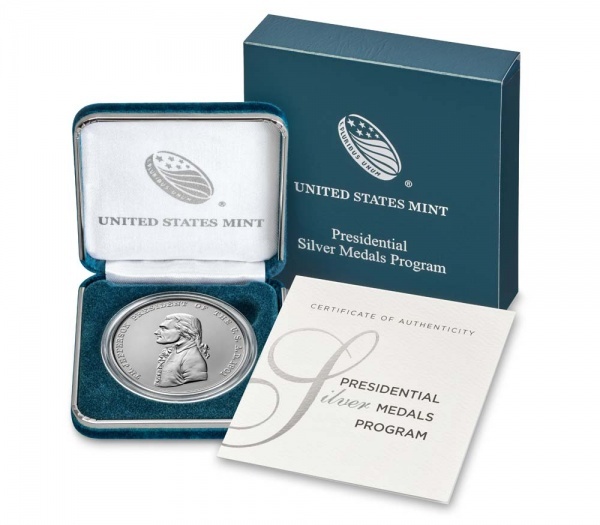 The Presidential Medal series is a time-honored tradition dating back to the earliest days of the U.S. Mint, when medals were presented during the signing of various treaties. 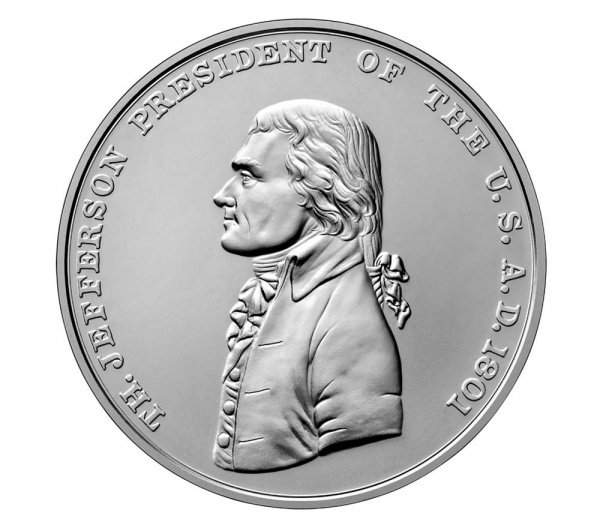 The obverse of the medal displays a side profile of President Jefferson’s head and shoulders, facing left. Inscriptions include A.D. 1801, PRESIDENT OF THE UNITED STATES, and TH. JEFFERSON. 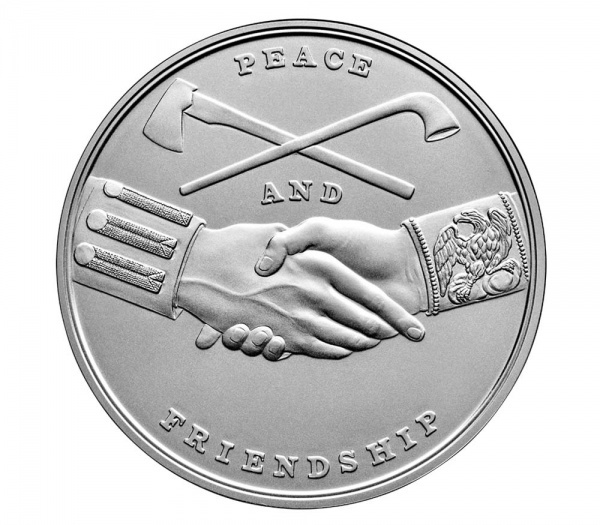 The reverse of the medal is designed and engraved by John Reich, and depicts a friendly (symbolic) handshake between the Indian nations and American government. A crossed pipe and tomahawk are above the hands, while the inscription PEACE AND FRIENDSHIP is clearly visible throughout the entirety of the design. 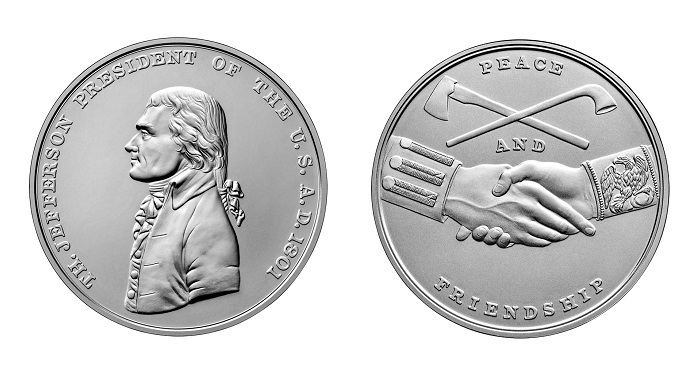 For more information about the Thomas Jefferson Presidential silver medal, please visit the website of the United States Mint.